A vs B: Which One? While editing wedding photos from Sandy and Ellen’s ceremony, I am a bit stuck on which one of these wedding rings I like better. Both have their qualities, but I’d like some comments about which you like better. The difficult part was to get the rings to show the colors. They had to be almost perfectly face on for the camera to capture the colors in the stones. Most did not come out, but these two work really well. 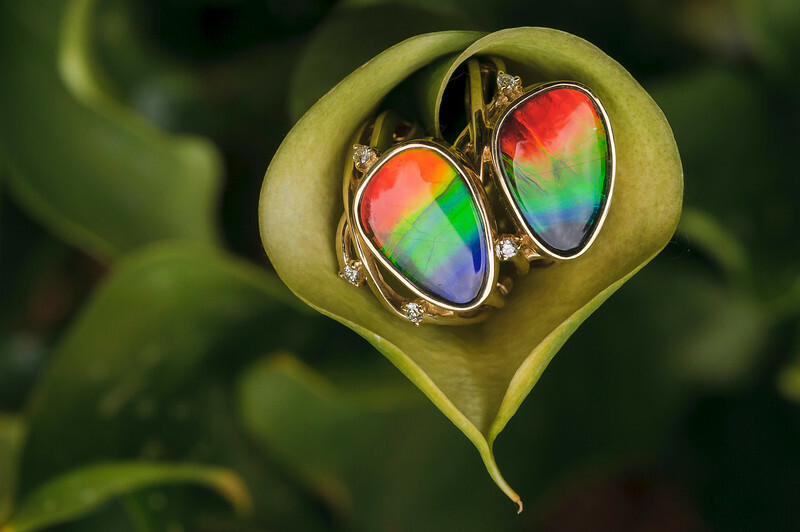 © Paul Conrad/Pablo Conrad Photography – Ellen and Sandy’s wedding rings resting on a flower. 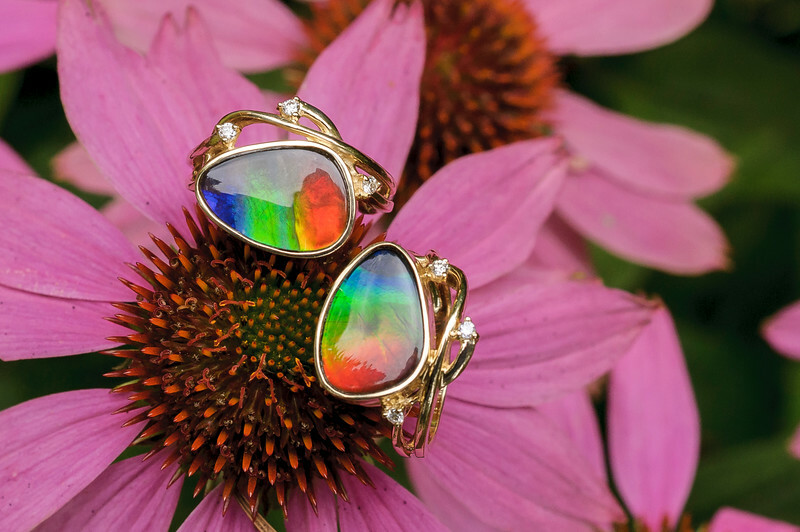 The only flaw I find with the above photo is that the pair of rings sort of resemble sunglasses. But other than that, I think it works nicely. For the ring photos, I used my Nikkor 55mm f.2.8 Macro on my Nikon D300s with the white balance set on manual to Daylight, ISO of 400 as it was cloudy, the shutter at 1/250th, and the lens aperture at f/8 to add a little depth of field. © Paul Conrad/Pablo Conrad Photography – The rings in a Lily. What I like about this image is that the flower sort of resembles a heart. When presented with this opportunity again, I think I’ll unfold the flower a touch to get a more “heat-shaped” feel to it. Which photo is your favorite? And why? Answer in the comments section. To view more of my wedding work and to book your wedding, visit my page Wedding Portfolio. Went out for a bike ride yesterday around Bellingham, Wash.. 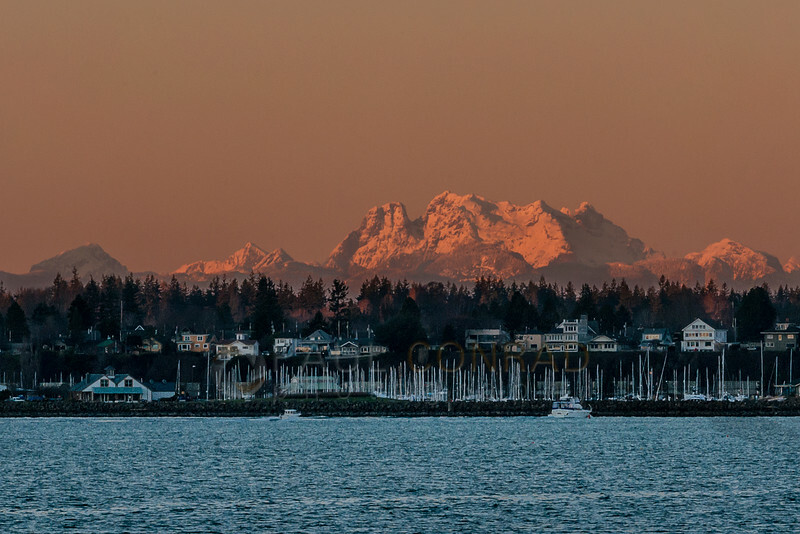 While riding around, I stopped by Squalicum Harbor for a few shots as it was a beautiful day. 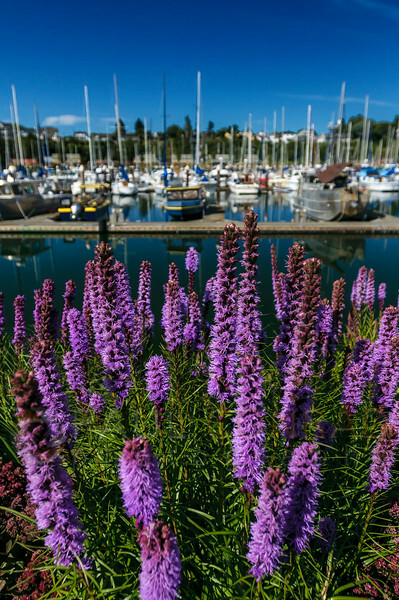 Using my Nikon D300s with my Nikkor 17-35 f/2.8 lens, I shot some wonderful purple flowers with the harbor as the background. To darken the skies and add a little saturation, I added my B+W polarizing filter. Which one of these two do you like better? And Why? What is it that makes it a better photo for you? 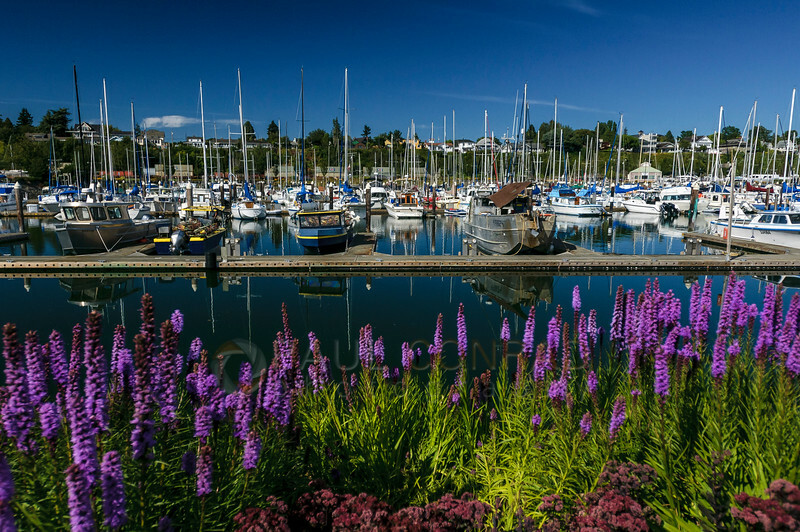 © Paul Conrad/Paul Conrad Photography – Purple flowers form a base for the masts of boats moored at Squalicum Harbor in Bellingham, Wash., on Thursday afternoon July 16, 2015. Shallow depth of field: This keeps your eye on the flowers. This gives it a sense of place without the distraction of the boats. The masts repeat the pattern of the flowers better. It would make a better magazine cover – Plenty of room for the flag (Magazine title) and text. The flow of the photo from left to right. The flowers add a good frame, or base, for the boats. The masts and flowers are haphazard and mismatched (a good quality to keep repetition from being boring). The layering of the flowers, the mast, the city, the sky. Your eye wanders all over the photo but still finds its way back to the flowers. It would make a great double truck spread in a magazine. Don’t forget to sign up for email updates to get more tips and tricks to improve your photography.